[Ep. 405] What If You’re Stuck? Sometimes in your life, you feel stuck. When that happens in your finances, it can cause more problems than just in your wallet. Often times, our health suffers from increased stress, our marriages grow tense, and our kids lose time with us. 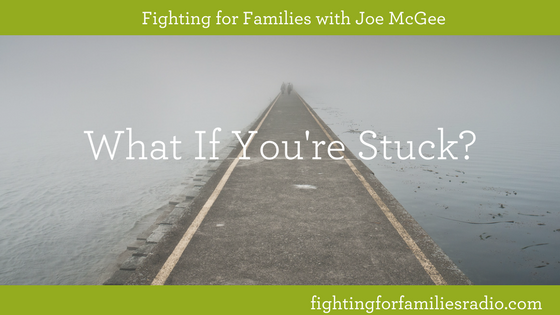 In this episode, Joe and Matt discuss these issues and Joe teaches on how to get unstuck. Joe’s book, Family Finances, is more than just a financial how-to manual. Joe shows you how God has given you everything you need to save more money, invest more money, and most of all EARN more money! Joe teaches you to how to find what God has for you to build wealth and how to get started today.